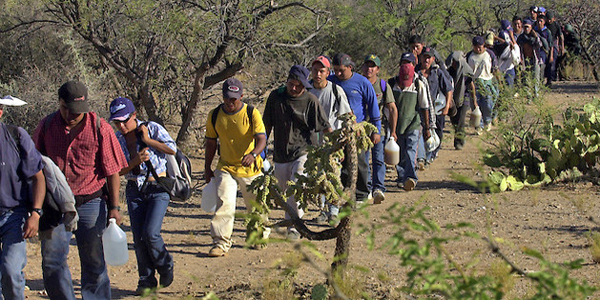 Home > worker safety > Can an Arizona Employer Hire Illegal or Undocumented Immigrants? The short answer to whether an Arizona employer can hire an illegal or undocumented immigrant is no. It is possible that either type of immigrant may apply for a job without the employer knowing the citizenship status of the applicant and who may interview that person for an open position. When it comes to hiring such an applicant, the most important step all Arizona employers must take after the interview is to verify the applicant’s work citizenship status through E-Verify, before allowing the applicant to start work. This is required by the Legal Arizona Workers Act of 2008, which was instituted to prevent Arizona’s employers from knowingly (or unknowingly) hiring illegal or unauthorized immigrants. Title 23, Chapter 2 of the Arizona Revised Statutes (ARS) covers the legislature in place concerning the hiring of illegal or undocumented immigrants. ARS 23-212 outlines further how complaints can be made against an employer who hired an illegal or undocumented immigrant and the possible punishments that the attorney general can take against the business. E-Verify is a free online service instituted by the Department of Homeland Security, an available to all enrolled employers across the United States. The program is used to verify an applicant’s eligibility for work. While E-Verify is a voluntary program, Arizona is the first state with a legislative mandate for all employers to use this program. Arizona employers who hire illegal or undocumented immigrants can be heavily fined if found that they have hired an ineligible immigrant. United States Immigration and Customs Enforcement (ICE) will also be notified of the unauthorized immigrant, which likely may lead to immediate deportation, depending on the situation. All United States employers and employees must also fill out and maintain the Form I-9, known as the Employment Eligibility Verification form, to confirm the identity and verification of employment for each employee. This applies to citizens and non-citizens, such as those with a green card and approved eligibility status to work in the United States. Arizona employers may hire non-citizens under a temporary green card or non-immigrant visa, by filing a petition on behalf of the potential employee. In areas of Arizona where there may be a lack of suitable candidates for various work positions, green card or non-immigrant visa employees can make up the difference to help employers stay solvent and on track with production in most industries. One requirement that employers must meet first is that they advertise the job, interview candidates, and then show that none were right for the job that the immigrant will take on. You can find out more information here on the PERM Labor Certification link.